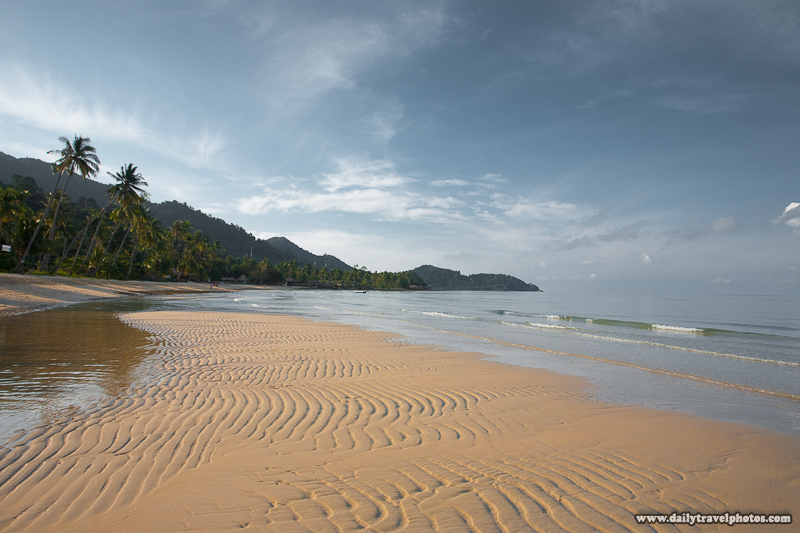 Early morning at "Lonely Beach" on the island of Koh Chang in Thailand. This is one of the reasons I've adopted the old man's retiree schedule of waking up at 6am. Aside from the occasional beach jogger, there's nary a soul in sight and the entire serene beach is mine without any of the tourist hordes borking up the scenery. On the down-side though, I generally miss out on night-happenings because I'm forced to retire at 10pm, just before my arthritis and hiatal hernial begin to kick in. Growing old isn't pretty, folks... at least in my case. Mouse over the image for a pre- and post-production jQuery effect. A tranquil shoreline lined by palm trees on "Lonely Beach", part of the island of Koh Chang in Thailand. 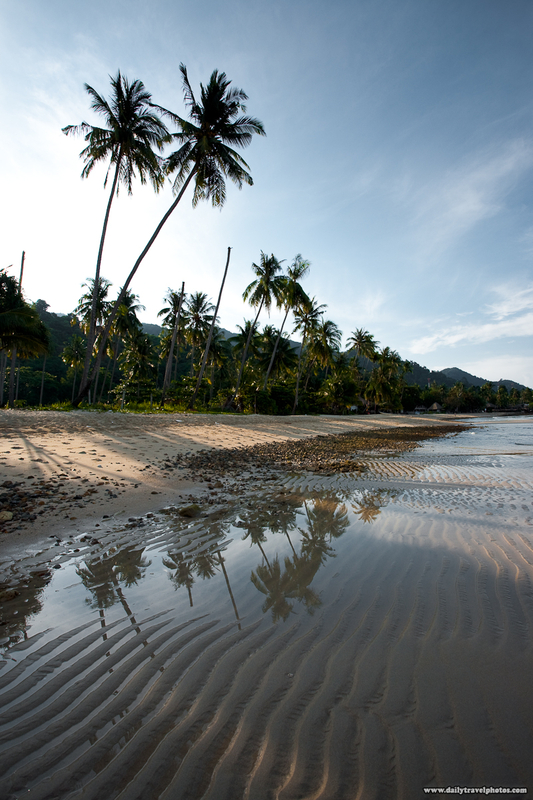 Beautiful and Stunning photos of Ko Chank Island, I was there in 1961 and again in 1962 as a US Navy Corpsman. The US Navy operated a Radio Station on the island, spent several months there both times, I believe the Radio Station was on the west side of the Island and at the foot of a vdery big mountain and beautiful white sandy beach, not too far west of our Camp was a small lagoon where there was a very small fishing village. I would love to see more pictures of that area .